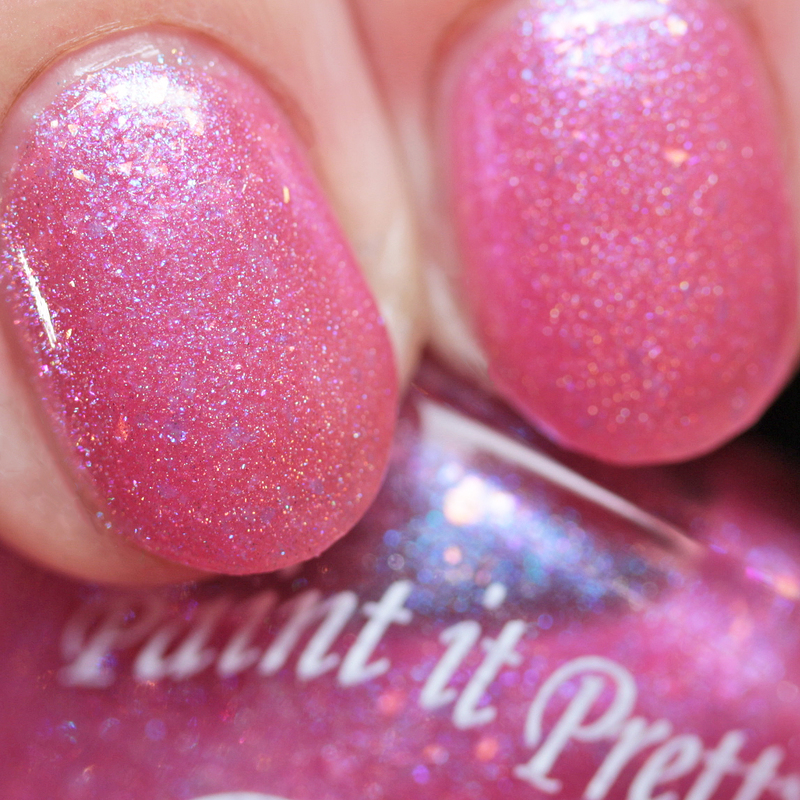 Paint It Pretty Polish Grow Old with Me is an amaranth pink jelly with holo shimmer, red-to-purple duochrome aurora shimmer, blue and aqua iridescent flakes, and gold microflakes. It is a jelly and I wore it in three thin coats. It dries quickly and is smooth. 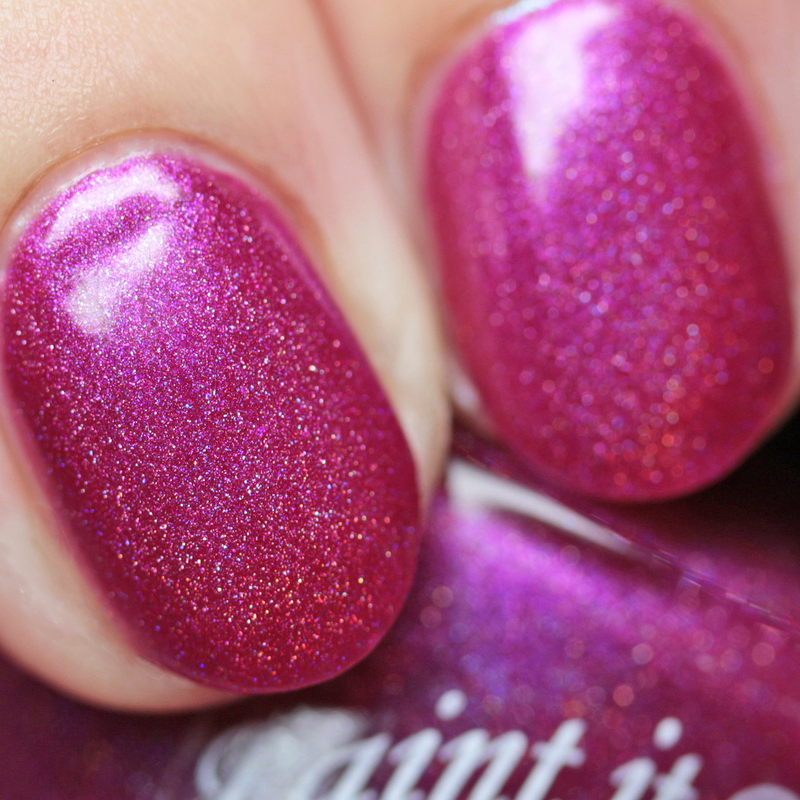 Paint It Pretty Polish Love Without Limits is a bright lilac metallic shimmer with blue-to-magenta duochrome shimmer. I wore it in three thin coats and it had a nice formula. This is ultra reflective! Paint It Pretty Polish More Love Less Paperwork is a magenta holo with violet shimmer that shifts slightly to a warmer shade. It covers in two thin coats and has a nice, fast-drying formula. 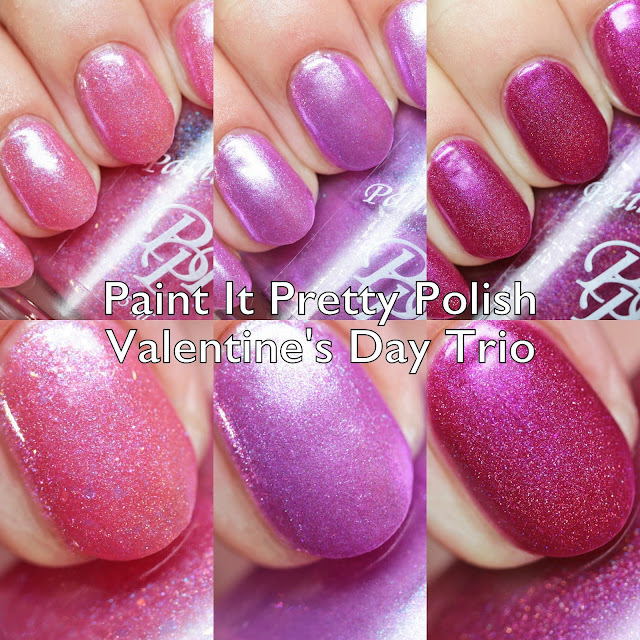 Paint It Pretty Polish's Valentine's Day Trio is a nice concise selection of Valentine's themed shades in a mix of warm and cool pink tones. I has a good mix of finishes to appeal to everyone! Do you have a favorite? I think mine is More Love Less Paperwork.